Excel Filter is one of the most used functionalities when you work with data. In this blog post, I will show you how to create a Dynamic Excel Filter Search Box, such that it filters the data based on what you type in the search box. There is a dual functionality to this – you can select a country’s name from the drop-down list, or you can manually enter the data in the search box, and it will show you all the matching records. For example, when you type “I” it gives you all the country names with the alphabet I in it. Getting a unique list of items (countries in this case). This would be used in creating the drop down. Creating the search box. Here I have used a Combo Box (ActiveX Control). Setting the Data. 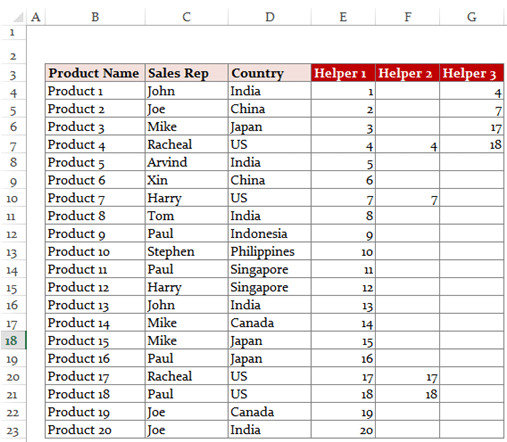 Here I would use three helper columns with formulas to extract the matching data. USEFUL TIP: It is almost always a good idea to convert your data into an Excel Table. You can do this by selecting any cell in the dataset and using the keyboard shortcut Control + T.
Select all the Countries and paste it into a new worksheet. Select the country list –> Go to Data –> Remove Duplicates. NOTE: If you use ‘Remove Duplicates’ method and you expand your data to add more records and new countries, you will have to repeat this step again. Alternately, you can also you a formula to make this process dynamic. See Also: How to use a formula to get a list of Unique items. For this technique to work, we would need to create a ‘Search Box’ and link it to a cell. 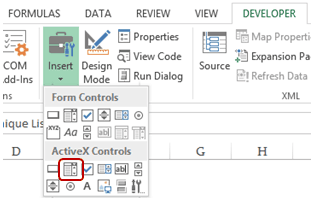 We can use the Combo Box in Excel to create this search box filter. This way, whenever you enter anything in the Combo Box, it would also be reflected in a cell in real-time (as shown below). 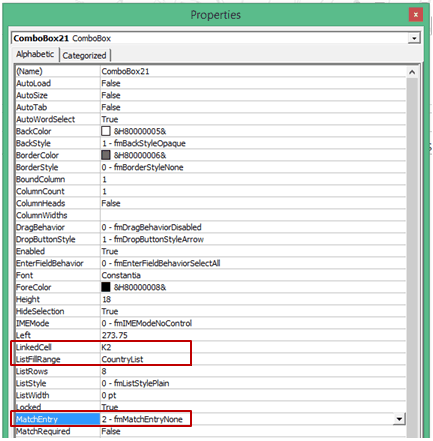 Go to Developer Tab –> Controls –> Insert –> ActiveX Controls –> Combo Box (ActiveX Controls). If you do not have the Developer Tab visible, here are the steps to enable it. Click anywhere on the worksheet. It will insert the Combo Box. Right-click on Combo Box and select Properties. Linked Cell: K2 (you can choose any cell where you want it to show the input values. We will be using this cell in setting the data). 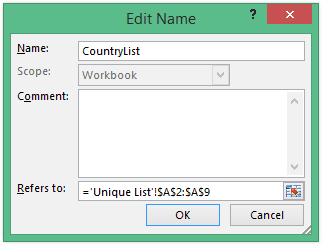 ListFillRange: CountryList (this is the named range we created in Step 1. This would show all the countries in the drop down). Finally, we link everything by helper columns. 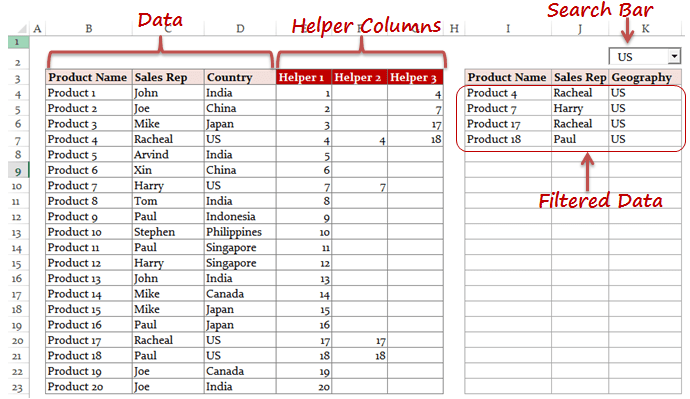 I use three helper columns here to filter the data. Helper Column 1: Enter the serial number for all the records (20 in this case). You can use ROWS() formula to do this. Helper Column 2: In helper column 2, we check whether the text entered in the search box matches the text in the cells in the country column. This can be done using a combination of IF, ISNUMBER and SEARCH functions. This formula will search for the content in the search box (which is linked to cell K2) in the cell that has the country name. This formula stacks all the matching row numbers together. For example, if the Combo Box has the value US, all the row numbers with ‘US’ in it get stacked together. Now when we have the row numbers stacked together, we just need to extract the data in these row number. This can be done easily using the index formula (insert this formula in where you want to extract the data. Copy it in the top-left cell where you want the data extracted, and then drag it down and to the right). INDEX – This extracts the data based on the row number. IFERROR – This returns blank when there is no data. The Combo Box is a drop down as well as a search box. You can hide the original data and helper columns to show only the filtered records. You can also have the raw data and helper columns in some other sheet and create this dynamic excel filter in another worksheet. You can try and customize it to your requirements. You may want to create multiple excel filters instead of one. For example, you may want to filter records where Sales Rep is Mike and Country is Japan. This can be done exactly following the same steps with some modification in the formula in helper columns. Another variation could be to filter data that starts with the characters that you enter in the combo Box. For example, when you enter ‘I’, you may want to extract countries starting with I (as compared with the current construct where it would also give you Singapore and Philippines as it contains the alphabet I). As always, most of my articles are inspired by the questions/responses of my readers. I would love to get your feedback and learn from you. Leave your thoughts in the comments section. Highlight Matching Data Using Conditional Formatting – Dynamic Search. Create a Search Suggestion Drop Down List in Excel. Using Advanced Filter in Excel. What if i would like to have the entire spreadsheet to be filtered to only extract data with everything that contains “la” or “east”. This formula only allows for data from a specific column. How can this be accomplished? I know this is old, but I know too that a lot of people still uses this topic. It’s so useful! But I’d like to know if there is any way to make the search box better, I mean, searching Products, Sales Rep and Countries. Not ONLY contries. Thanks! I need, please your help if you can. I want to know I want to create this filter first with more than 15 worksheets and each one having the same column and rows information. I want to create a comparison tool, as if, I enter for example item number or name will give me a grill with what I need in a unique worksheet as an output. item name, prices, capacity, our prices, margin, etc..
*** My result expected: will give a table with the less price first and which company is associated with. 3- is it possible to do with excel, if not can you guide me please, which program I can need to use is it a database +VB or what exactly, please. sorry,its doesn’t work over 313 rows,what i should do? Can I make it show no result until/unless I type something in the search box? Can a search box be created in a second sheet using the data from sheet1? I have about 2500 line items (Inventory) and 7 header columns. I currently use Conditional formatting but the problem is scrolling down the page to see what is highlighted. Make these “helpers” in the sheet where all the data is. 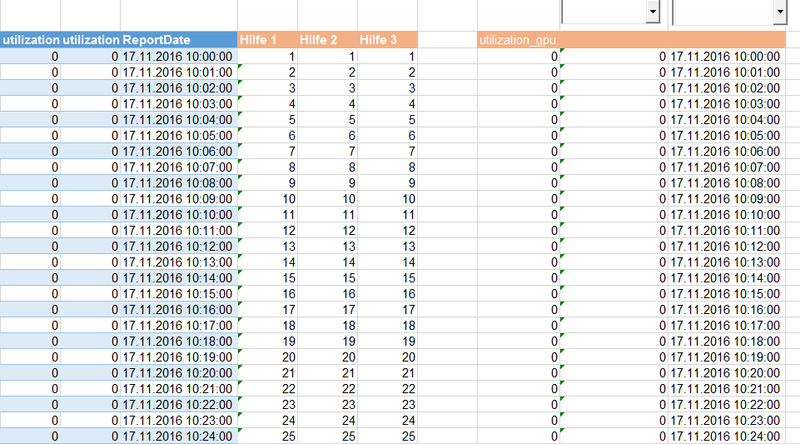 Then, in the secondary sheet, make a table with Filtered Data. I need to use a dynamic filter text for online usage, with a shared website in my company. How can I use ActiveX Dynamic filter this way? How can I do this if I don’t have a designer license? Would it be possible to set up 2 columns, where the first column has multiple looks for “this” AND “that”, and the second column has fields that looks for “this” OR “that”, and return the results in the same column? Extremly super admin.. i appreciate it a lot. thank you so much. can you do the filter without using helper columns? i mean, filtering the data table? How do you make it so that hyperlink would stay intact in your search results? hi, could we make this filter but with additional conditions instead of just 1 condition? I have successfully completed this; however, one of my columns with information the populates contains hyperlinks to documents on the computer. Right now these hyperlinks are only showing up as text. I would like the link to be retained when it appears in the search results, can you help with this? Hi Sumit, can you tell me how can I customize the text search to show only the specific text I am looking for? Current formulas return any text that contains what was entered in the text box. I’m also having this problem. Any help would be appreciated! This works great for my needs! I would like to hide the dynamic list while the search box is empty and only show the results. Is there a way to do this? I like the idea (and I’m guessing this is pretty old) but this is the most round about way I’ve ever seen to accomplish this. What you really want is to simply work the autofilters via the combobox’s change event. if you need to view your filtered data on a separate sheet then simply copy the filtered range to it. No need for helper columns or vlookup/index formula’s either. You could also use a dynamic range in VBA and forget about the static named range altogether. Hello. This is a great tutorial and is just what I was looking for. However, I’m stuck on Helper 3. In the YouTube video you mention something about adding ROWS. I can’t see the formula because the video is a little blurry. In the instructions above, there is no mention of rows. When I follow the instructions above, I’m not getting my numbers stacked in Helper 3. Hello.. 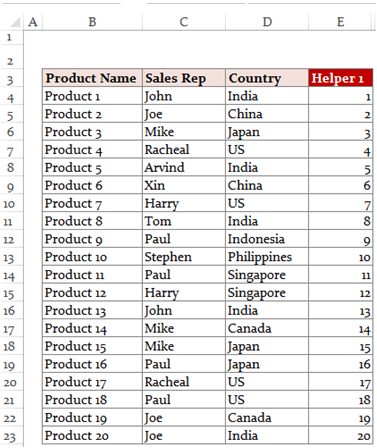 The ROWS function is used in Helper Column 1. The formula used in cell E4 is =ROWS($B$4:B4) and then copied for all the remaining cells in the column. You can also download the example file and see the exact formula in it. I am still a relative novice with excel, so forgive me if my question seems silly. I was fine until I got to creating the index. When I try to drag the formula down and to the right, it changes the formula in the other boxes in such a way that the search doesn’t bring up the proper information. Basically the formula changes by shifting the area of information either down a row or one column to the right. Is there a way to prevent it from changing anything other than what is necessary for accuracy so I don’t have to manually go in and fix it? This is brilliant, thanks a lot for posting it! too good, but this formula only on 20 cell i need it on 2k cell please help me! i need this formula, but its work only with 20 cell in need it till 2k cells. please help me? Following this guide, to use it on a larger data set, you would only need to redefine the named range to include however many rows you need….But if you read my other comment and do a little Googling, you’ll find much easier, faster, and more efficient ways to accomplish this that aren’t bound to any static range. Many thanks for this. I was able to follow your very clear explanations. Works remarkably well. I’d like to add a button to clear the search field. I wonder if you would mind sharing any suggestions? 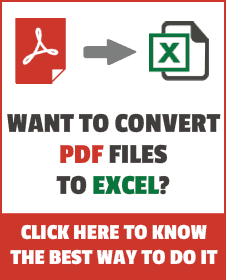 Hi, Plz give me the two filters in same excel file and its not working in office 2007. Hi Sumit – I am building an excel dynamic filter with three combo filters and used the sheet you provided. I updated your data with mine and the table will not populate with the data in J,K,L,M Columns. It also brings up results that include partial spelling of the word I filtered by. Any tips? Hi Summit – I fixed the issue with the table populating when using the combo boxes. I do have two other questions. When I use the Combo boxes for filter it includes any results that has similar spelling, but I just want it to show the “Brand” I have selected. My other question is how can I show no results when no combo filter box has nothing selected? Hi Sumit, would you please share the formula to include up to 30 conditions again please? I can’t seem to be able to access the file via the dropbox link above. It would help very much! Great idea. My list fill range does not seem to work. When I type in the Name of my unique list, it disappears when I hit enter. Any ideas? Thanks! I was able to replicate the issue using your demo file. It seems to fail if you turn the unique list into a table and use the =Tablex[ColumnY] function. Pretty frustrating that Excel does that. I prefer to use the table functions as my arrays/lists rather than a range, since the unique list may change over time. Any ideas of a workaround? Thanks! Hello Sumit, thank you for your wonderful and very helpful tutorial. Question, I have certain questions that are highlighted but when they are extracted they’re no longer highlighted, how can I keep the questions in the same style? thank you for your amazing knowledge. This is brilliant! Thanks for the sharing! Very useful! Hi there, can I embed this feature on my website? I’ve just discovered a pretty good video where the search filter works dynamicaly by hiding the rows. Looks very nice and useful. Moreover, there is a download link below the video, so you can try it immediately. Maybe you will find there some new ideas..
Hi… Thanx for the great post…it was really helpful !!! I want to do something similar, but rather than filtering on the column i want to filter by row. i.e. You are showing a row if it the cell has the particular value, I want to show the columns if the cell in it has the particular value. I am able to write formulas for populating the helper columns. But am stuck with the last one to populate the final set. Thank you for the video. What if I want to extract any data that I type in the combo box, what would the formula be? Thanks. Is there a way to auto fill repetitive data like name and address? Thanks Sumit for the reply and pointing me to the right topic. I will check out the link. I did check the link but it does not suit what I was looking for. This is the actual scenario what I am looking for maybe you can point me to the right topic. We have to input name of companies to Excel based on the Invoice issued, the name would occur several times. Together with the name there is assigned Tax Identification Number that would be inputted beside the company name. I would appreciate any help. Fantastic demo, well written. I’m a little confused why you need to create a unique table, why not dump all your raw data on one sheet (in my case, priority, alarm, information, support team) and have another sheet do the search and display the relevant rows below ? This would (I think) be more universal and help more people. Just a thought, not by any means a criticism. If I have dates in mm/dd/year (or some equivalent) how can I use the dynamic filter to search by month or year whilst keeping the date format? Unfortunately even if the dates are formated to say the respective month it only searches in based off of what is in the formula box. Hi Sumit, thanks for this. It’s a great tutorial. I have a couple of further issues I’m hoping you can help me with. In my filtered results any cells that were left blank in the raw data now have a 0 (zero) in them. Is there a way to show the cells as blank in the filtered results? Also, some of the filtered cells contain hyperlinks. These are “live” in the raw data (if you click them they open the relevant page in your browser), but they are not live in the filtered data. Is there a way to make them live in the filtered data? Thanks for any help you can give! HOW DO I SELECT ONLY ITEMS THAT START WITH THE CHARACTER I WANT. IF I ENTER “PH” I WANT TO RETRIEVE PHILLIP NOT ALPHOSO…YOU MENTION TWEEKING THE HELP BUT I’M NOT SURE HOW..
Hello. Thank you for the superb post. You saved me big time. But there’s a problem. The search box also filter the words that contain the words I search. For example, I search for “AN” and the rows with “CHANH” also appear. How can I set it so that only the exact word is filtered? Simply put this formula in F4 and copy for all the cells in that column. 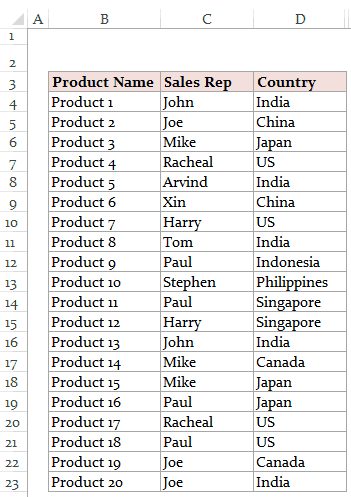 Hi Sumit, Can you show how to add two filters, Country and Product? How can that be done? Hello, Is it possible to take the range of the ‘Filtered Data’ section from one sheet to another? If I copy the formula over and add the sheet name before the cell I can see all the current values, but it doesn’t appear to be dynamic and update like the information does on the original sheet. This is a brilliant method for making a searchable staff telephone list. However, some of my cells in the range are blank, where there is either no extension or mobile, and they are showing in the search result table as 0. I have tried, without success, to add an if statement to weed these out and show them as blank cells. Is there a way to do this without causing the formula =IFERROR(INDEX($B$4:$D$23,$G4,COLUMNS($I$3:I3)),””) to throw up an error? I am currently putting the dynamic filter and its data on a different worksheet. May I know if it is possible to also have a filter option to display “All the data”. If I would like to have the option to choose “All Countries” from your example, how would I be able to do it? When the combo box is empty it shows the entire result(s). Is there a way when the combo box is empty the results are blank? Hi Sumit, is it possible to search 2 items at the same time for example: all the US and the Canada ? Hi Sumit – this is awesome! Just wondering if you’re able to help me out a little bit more? I’m trying to do a version of this where the data is output to a second sheet (saves me from hiding & unhiding cells all the time). I’ve managed to output the data to a sheet named UI (user interface) but now the search filter isn’t working. It’s probably something to do with how I’ve written the Formula’s, but I can’t figure it out. I’ve attached screenshots showing the sheets and the formula’s being used. Any help would be much appreciated! I checked this one before, not working for me. I already have a dynamic filter using the formula what’s it’s shown here, now i want to color code only texts while typing using the same dynamic filter .. I have used 3 helper and the formula is the same what’s shown in this. Also I have created a front end where showing the search results but the color coding is not working. Don’t know why. Sir, Thank you so much for the tutorial, you save my family’s business. I do have a bit of question. Instead of country name like Japan, India, Singapore, I have a “group id” like 001, 01, 240, 24, 924. And I did >Define Name and all. But once I start using the combo box, “24”, the items of other group like 240 and 924 would come along. Could you please help me to search the result of the exact value? Thank you so much ! This was so helpful. Thank you. I had been banging my head all week trying to do this on my own. Only issue I encountered is after selecting the item from the Combo list, sometimes the selection just disappears – i.e. the combolist seems to just clear itself. Not sure what is going on there. Do you have any idea what could be causing this please? Hello Sumit, thanks a lot very helpful site!! I have been trying for days now without getting any solution. Is there a way to edit the filtered values? for example I type Japan. Then once I have the filtered results I go and change/update the Sales Rep name? i have tried it on my datasheet using the same formulas but it seen like i cant filter the information what i want. can you able to see what wrongs with my formula? As i mentioned in the comments below. I’ve got a pretty large dataset for which this solution really struggles. and takes good few seconds to filter through data. I’ve just read about INDEX MATCH formula – so was wondering if this type of dynamic search could be achieved using INDEX MATCH formula, which should be most probably quicker than the INDEX you have used here. Please advise. Thank you so much for uploading this video. Is there any way to show the search result blank if there is no data in the combobox ? Paste this formula in F4 and drag it down. Thanks for your sharing, if the data table have a blank in somewhere cell, it doesn’t count this row, any formula can solve it? Regarding the variations: I’m wondering if it’s possible to have more than two conditions/filters? I can’t seem to figure out the correct formula. I’ve downloaded that version and applied the formula to my spreadsheet. It works perfectly for two conditions, but I can’t figure it out for more than two. Is this possible? Sorry if this isn’t clear! AMAZING! Thank you so much for your quick response. Is there a maximum condition limit, or can you use as many conditions as you like? Thank you again! I added another condition and it worked. Thank you so much again for your help, it’s much appreciated! Gr8, but Combo Box 2 is drop down list is carrying sales rep data, though in case I type any name of product category, it’s ok.
I’m in the same situation as posted above. I’ve got a file of 15 000 rows and the list is constantly growing. I’ve tried the formula with helper columns and all works great, apart that it takes around 1-3 seconds to generate a list from my query. Also the way i made a formula is to output the data to another sheet as a summary instead of seeing all raw data, so it looks really need. I’ve also tried the same solution with the 1 000 entries and that returns data as i type. I’ve got i5 6 GB laptop and it really struggles with the large database (15k rows). Is there another way of making the same dynamic search that wouldn’t put so much pressure on processor and would return data as i type? Also big thanks for trumpexel for such a great solution. ahh ok thanks for the prompt reply! Club the two? I have web links in the “Sales Rep” Column. How do I get it to retain the hyperlink after it has been searched? This has been very helpful so far. Thanks! I have a huge data approx. 50,000 rows and i want to filter it with search box as i start typing in the search box the data starts to filtering but i am failed to do it. Your example is too good but I don’t want to use “INDEX” formula. I’m in the same situation. I’ve got a file of 15 000 rows and the list is constantly growing. I’ve tried the formula with helper columns and all works great, apart that it takes around 1-3 seconds to generate a list from my query. Also the way i made a formula is to output the data to another sheet as a summary instead of seeing all raw data, so it looks really need. I’ve also tried the same solution with the 1 000 entries and that returns data as i type. I’ve got i5 6 GB laptop and it really struggles with the large database (15k rows). Is there another way of making the same dynamic search that wouldn’t put so much pressure on processor and would return data as i type? Could you please tell me what changes to make in helper columns to make 2 filters work? Thanks Sumit, i tried that, but it gives me a message “we found one or more circular references that might cause your formulas to calculate incorrectly”. is there something I can look out for to resolve this problem? You can try and customize it to your requirements. You may want to create 2 filter instead of one. For example, you may want to filter records where Sales Rep is Mike and Country is Japan. This can be done exactly following the same steps with some modification in the formula in helper columns. Sumit, Could you please tell me how to use 2 filters, i.e. what changes to make in the helper columns? What if I want to Hyperlink to a website? Glad you liked it.. What do you mean by more than one filter. Are you looking for more than one criteria? two days back only I came across your site and just looking through..it makes me wonder!! Hey, great idea and implementation. I might use it at school to teach the kids a few tricks. Can all of this be done with a text field instead of drop-box? Thanks for commenting and glad you liked it 🙂 I am afraid I not aware of any way to do this without combo-box. The benefit for combo-box is that it makes the data entry dynamic, which instantly gives you results. This is worked perfect! I have a table with 830 rows that displays totals at the bottom of each column; and each filter option will result in about 200 rows. The problem that I have now is that I have to scroll all the way down to row 831 in order to see the totals. This document will also be printed by end users and I would like to avoid the extra blank papers. Any suggestions will be highly appreciated. Hi Deepak, can you maybe brake your formula down into smaller segments so i can understand what and how you did it. Also i’m trying to find a way to work with 15k lines of dataset which Trumpexel is not really coping well with as it takes 3-4 seconds to give the results on i5 6GB RAM processor. So i wonder if your formula would be any quicker as it wouldn’t need helper colums. please advise. 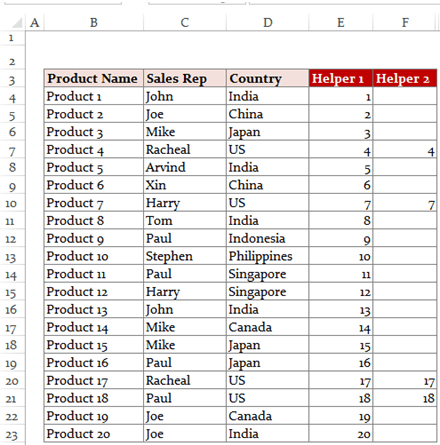 dragging the array formula till 15k row will make the excel sheet slow.. I know it was a long time ago, but if you could possibly reply with the rest of the formula i would really appreciate it! Nevermind, it appeared when I opened in a different browser, thank you! Its difficult to find the excel file, what i have done is – i have incorporated all the helper formula in one formula..so it became big. Sure but i can’t upload the excel file here, can you please share your Email Id so that i can send it to you. Hi Deepak, would you be able to send me a copy of the corresponding excel file please to help understand your formula a bit better? Thanks in advance! Pls share your email so that I can send you the file. Do you know how can I multiple excel filters with your formula? i’m new on the forum. i looking for a way to do exactly what you describ in this topic. from the bebening, it works well. but when it come to apply the formulla, it became confused for me. the formula doesn’t work on my side.